Understanding your home protection options is the best way to ensure you've done everything you can before your home is compromised. Many homeowners aren't aware of certain preventative measures that can boost your home from minimal to excellent protection and security. Likewise, with the Northwest storm season amping up, don't downplay these home protection accessories. Storm doors provide an extra layer of protection against all kinds of inclement weather. They insulate your home the same way storm windows and double-paned windows do— by creating a barrier of warm air that stays trapped between the storm door and entry door and prevents cold weather from entering your home. Not only do storm doors serve as a shield for your entry door and your home, they also keep the rain, ice and snow from building up in your doorway. When the sun’s rays are at their most intense, a storm door will deflect the rays and diffuse the intensity of the heat, preventing your entry door from fading or warping. No matter what weather your home endures, storm doors keep your home looking and feeling great. Deadbolts come in different varieties, one such variety is a 3-Point, or Multi-point lock. These doors have 3 different bolts that come out of 3 points of the door to lock and secure the door in place. The main goal for these Multi-Point Locks, first and foremost is the security factor. Basically it’s 3 bolts locking from top, bottom and side edge of the door, which is a whole lot more secure than a basic deadbolt that just locks from the side edge. A lot of people use these not only for how secure they are, but also how stylish and how they function is a big plus for some. If you lock the door from the inside and go outside, when the door is shut, the lever is locked. A crack of thunder and lightning and your neighbors’ power goes out. You, however, are still enjoying Netflix and baking cookies. You’ve hardly noticed the weather has turned bad. That’s because power has automatically been transferred to your standby generator. No fumbling around for candles or flashlights. No break in your routine. When the utility power comes back, your standby generator automatically transfers the electrical load back to the original source and monitors for future loss. When it comes to exterior appliances like generators, minimalism matters. 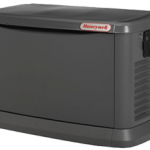 Standby generators by Honeywell feature sleek aluminum enclosures that blend into their surroundings and provide durable protection from the elements. Safeguard your home-comfort investment: get automatic annual tune-ups at discounted membership rates with the Guardian Maintenance Club. Equipment in your home needs to be maintained every year to keep your systems running efficiently and effectively. Regular maintenance is often a stipulation of your manufacturer’s warranty. We make it easy: forget about remembering to service your equipment and allow us to ensure your systems perform at their best. We remind you and schedule your appointment when you need it. No need to call in! Join our program today and save on necessary maintenance down the road. Not sure about the yearly charge for the Guardian Maintenance Club. I have 2 fireplace inserts, using natural gas & 1 natural gas furnace. I’m assuming this w/b charged as 3 units? for 1 year w/b $189 for 3? or $189 for each one? And is there a Senior discount? Military discount? AARP discount? Or any other discount? Its always worth asking. thanks for letting me know. 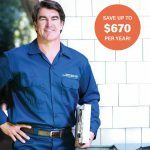 Each year I have 6 furnace need do maintenance work.